This is one of our popular "princess" settings. 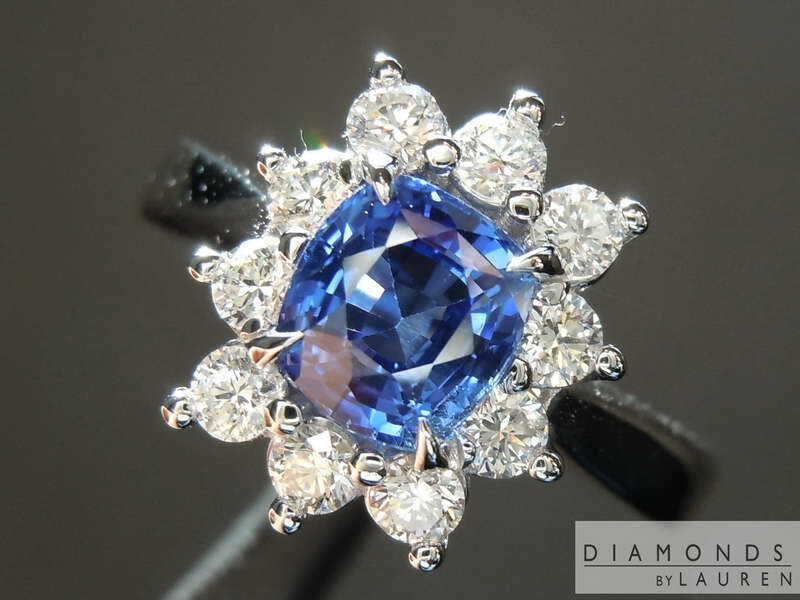 We use large, beautifully cut, completely colorless diamonds to surround the sapphire. 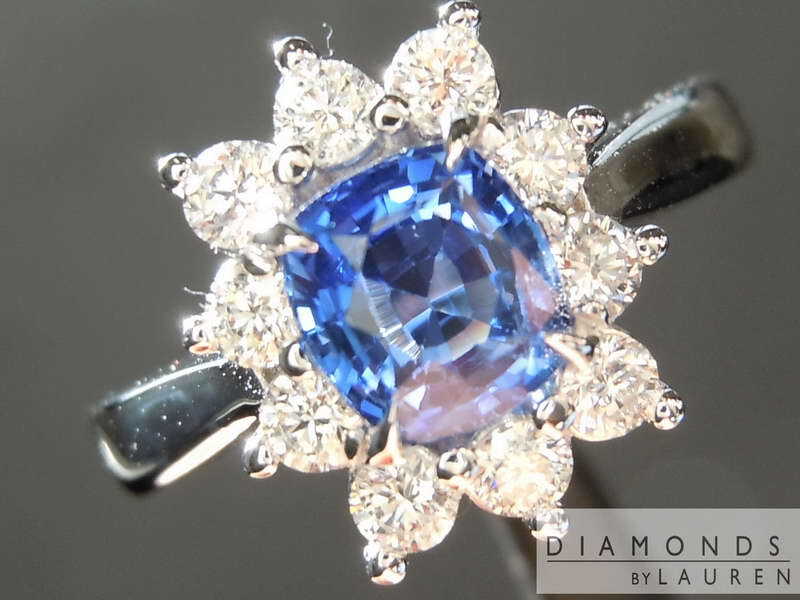 The enrtire ring is done in 18kt white gold- this compliments the amazing color of the sapphire. 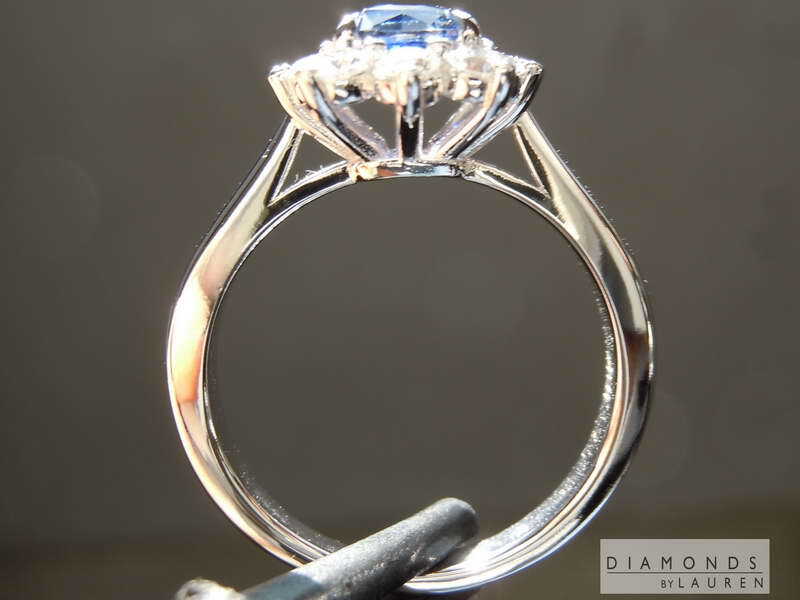 Comfortable and well made - this ring will be treasured for a lifetime. 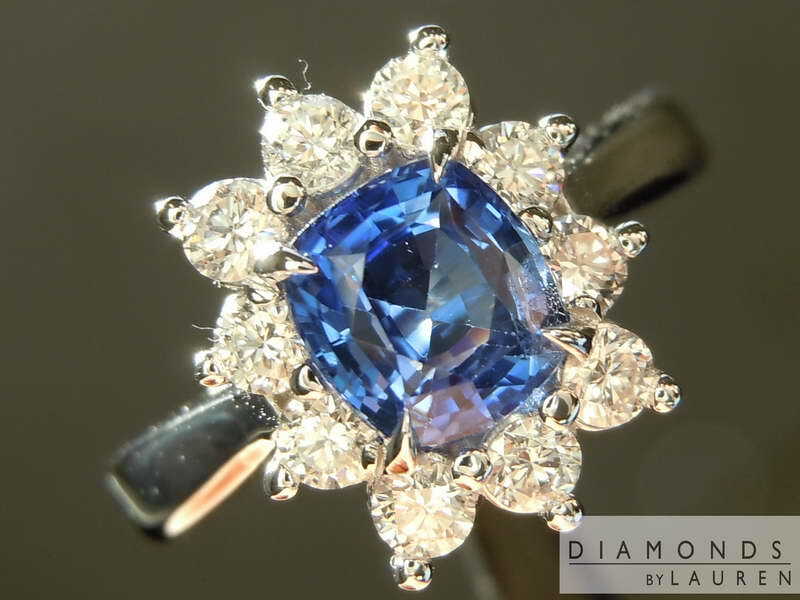 I cannot say how much I love this sapphire. First we have the color - a beautiful shade of blue. Not too light - not too dark. Then we have the cut! It's just phenomenal with no windowing. 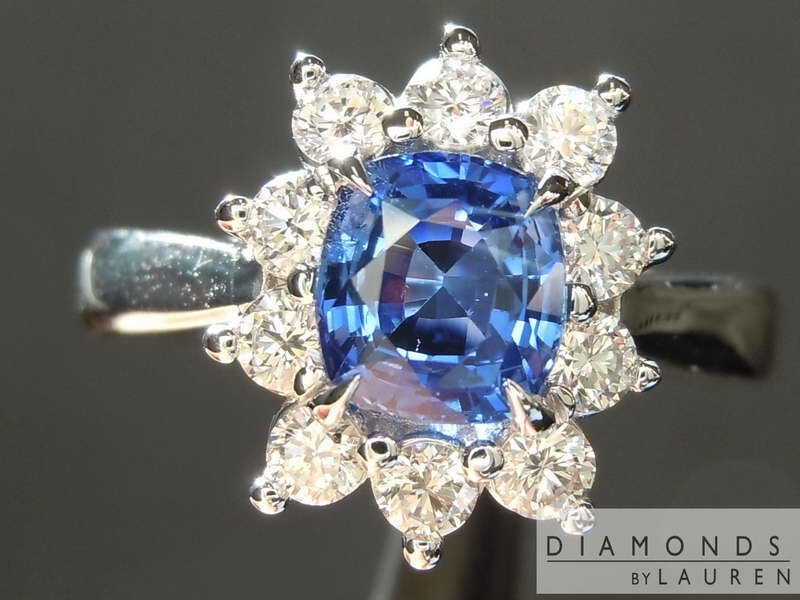 The sapphire is quite clear and we assume it was heated in the cutting process. 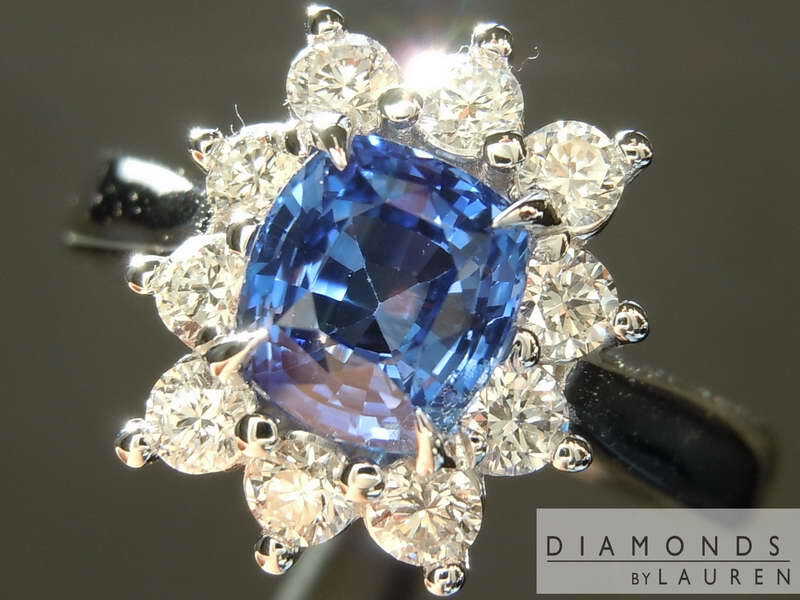 This is routinely done, and truly just allows us to offer you a gorgeous sapphire at a great price.